If you are lucky enough to live in this glorious city, you probably don’t need reminding of how awesome this place really is. As you walk around the city and experience the scenic gardens and lush blue sky, you’ll really understand why Brisbane is one of the most celebrated places to live in on this planet. It’s amazing that so many beautiful things can be contained in one place, but there you have it! From the awesome Great Barrier Reef to the mysterious Gold Coast Hinterland, Brisbane has it all, and then some. 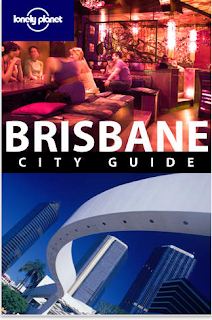 So did you know that there now some Smartphone Apps that have been developed just for the lucky residents and visitors to Brisbane? We have 3 of them here and will see if they’re worthy of association and offer an unbiased review on each of them for you lucky people! Our first Brisbane Smartphone App is an Android affair and it will be a big hit for all of those who prefer to leave the car in the driveway and take advantage of the excellent public transport system we have here. 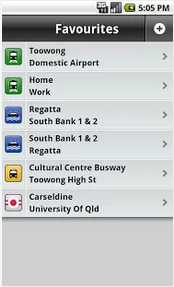 You have access to all of the timetables from the Brisbane trains, ferries and buses right here on your Android Smartphone. Save you favourite routes for easy access and don’t fret about trying to find that special number when you’re running out of time. You’ll also get directions via GPS to all of the stations and no matter where you are you will always be near a public transport service. In this day an age of carbon footprint awareness, more of us should be using this fantastic and inexpensive system, so grab this App and fill your boots! This App will run on your iPhone, iPod Touch and iPad and it requires iOS 3.0 or later for smooth running. Okay, this App is brought to you by those giants of backpacking – Lonely Planet! It may be geared towards visitors of the city, but there is plenty here for residents who wish to learn a little more themselves. If you find yourself at a loose end one weekend, just open this up and you’ll soon be full of awesome suggestions of what to do and where to go. ‘Brisvegas’ will certainly be opened up for you and you may even find something new to love about your wonderful hometown! We’ll not go into too much detail about the App but we suggest you grab it now and you’ll soon be taking a few sickies off work to fit in these brilliant suggestions. This App will run on your iPhone, iPod Touch and iPad and it requires iOS 4.3 or later for smooth running. Cycling around Brissie is a fabulous way to see the place, so why not get the most out of your 2 wheels with this App? You find out all of the best cycle routes and no other city has more ways to get to work safely and quickly. 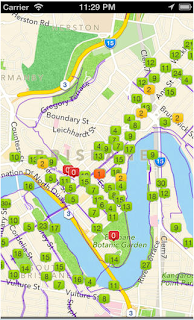 All Brisbane cyclists need this App, and it’s free so grab it now! So there you have it, try all 3 of these beauties and learn a little more about that place you are lucky enough to call ‘Home’. Nancy Baker, the author of this article, is a freelance blogger, currently writing for, Kingsford Smith Parking, a company offering professional car cleaning and detailing services. She loves the outdoors and is an avid tennis player and enjoys going for the games with her friends. You can also follow her on Twitter @Nancy Baker.